10 pockets for 4 CD's / DVD's. With space for individual index sheet or booklet. Universal punching. 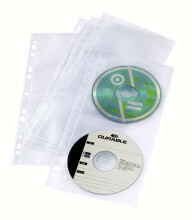 Covers ideal for space-saving storage of 1 CD/DVD with booklet or 2CDs/DVDs. The CD mailing pocket offers a quick and simple solution for sending CD-ROMs by post. 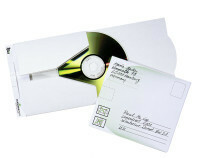 With self-adhesive closure label and space for CD and booklet. CD/DVD pocket with closing flap for protection of CD/DVD. Ring binder for the safe storage of 20 CDs. 5 polypropylene pockets, each holding 4 CDs. Pocket for inserting booklet or label alongside CD. Ring binder with 10 polypropylene wallets with internal protective lining, each with space for 2 CDs. Pocket with index sheet and self adhexive numbers 1-40 for easy referencing. Holds 20 CDs securely. 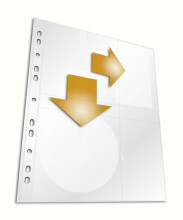 The clip facilitates filing in the QUICKFLIP archive ring binder. After filing, the box can simply be removed from the clip and the CD taken out without the need to open the ring-binding mechanism. Memory card box for SD, Multimedia and compact flash cards or for micro drives. 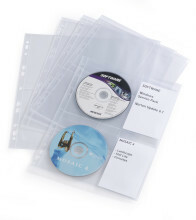 Pack of 10 slimline CD/DVD cases with a special lever ejection mechanism for simple removal of the CD or DVD. Standard CD/DVD box in a new, streamlined design for space-saving storage of CD's / DVD's. With special lever mechanism for simple removal of disks. 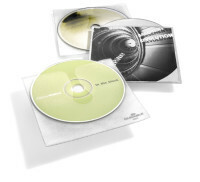 Polypropylene CD/DVD covers for 4 CD's/DVD's. With universal punching for filing in A4 ring binders and files. For the storage of 4 CDs. Polypropylene multipunched wallets with internal protective lining. Four additional pockets for booklets or accompanying labels. 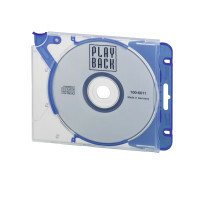 Polypropylene CD pocket and tab and with protective internal lining for safe CD storage. With pocket for documentation, booklets, etc., and identification tab. CD pockets for the DURABLE CD RACK, CD MOBILEASY portable wallet, or for filing in folders and ring binders with 8 cm filing mechanisms. Extendable filing system for multimedia. MULTIMEDIA BOX I and II can be combined together both vertically and horizontally. With chromium-plated lock, dividers and label holder. 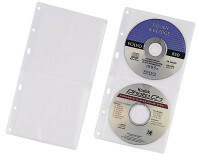 Self-adhesive CD pocket with closure flap and interal protective lining for safe CD storage. 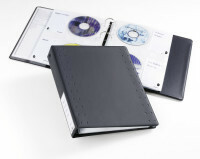 Exclusively designed CD/DVD ring binder for filing up to 96 CD's/DVD's in Polypropylen covers. Each cover stores 8 CD's/DVD's. 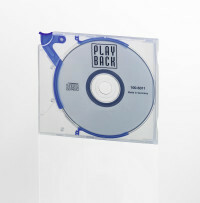 Polypropylene CD pocket with protective internal lining for safe CD storage. With pocket for documentation, booklets, etc.